Allison Weiss is a typical working mother, trying to balance a business, ageing parents, a demanding daughter and a marriage. But when the website she develops becomes a huge success, she finds herself challenged to the point of being completely overwhelmed. 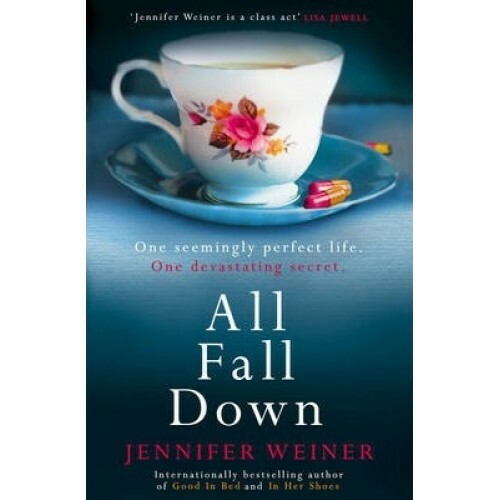 As she struggles to hold her life together and meet the needs of all the people around her, Allison finds that the painkillers she was prescribed for a back injury help her deal with more than just physical discomfort - they make her feel calm and get her through the increasingly hectic days. Sure, she worries that the bottles seem to empty a bit faster each week, but it's not like she's some Hollywood starlet partying all night. It's not as if she has an actual problem. Until she ends up in a world she never thought she'd experience outside of a movie theatre: rehab. And as Allison struggles to get her life back on track, she learns a few life lessons along the way. With a sparkling comedic touch and tender, true-to-life characterizations, All Fall Downisa tale of empowerment and redemption and Jennifer Weiner's richest, most absorbing and timely story yet.